An LLC, or a limited liability company, is a type of business structure that combines the tax benefits and flexibility of a partnership, but the limited liability of a corporation. It is a separate and distinct legal entity from the owners who are referred to members. It has its own powers, obligations, rights, and privileges under Florida laws. In the state of Florida, an LLC can be formed for any lawful purpose and continues to be the most preferred entity of organization in the state. As of January 2018, there were 1,152,051 active LLCs in Florida with 263,545 of those organized in the past year. But just like any type of business, an LLC comes with benefits and disadvantages. An experienced business planning attorney can help you determine if an LLC is right for your company. LLCs are user friendly – Forming an LLC is fairly simple, and it can be done by one or more people by executing the articles of organization to the Department of State. Florida makes it very simple for you to take care of most of your business needs online, which adds to the user-friendly capabilities of an LLC. Limited liability – As the name implies, when doing business as an LLC, the members are not liable personally for the obligations of the LLC. This is a very attractive feature to business owners. Greater flexibility – There is no limit to the number of members that can be part of the LLC. The requirements to record management duties are also less strict and members aren’t required to hold meetings or record minutes, although holding meetings and recording them are a good business practice. There are ongoing and higher administrative compliance costs. These costs, however, aren’t significantly different from the costs that corporations deal with annually. There is sometimes uncertainty on how legal issues will play out in court. Because there is less case law regarding LLCs, legal issues have an uncertain outcome. Because LLCs are growing in popularity, this issue will likely fade with time. LLCs operating in several states may experience lack of procedures and treatment when doing business in multiple states. The laws that oversee LLCs are created by the state. When doing business in multiple states, there may be situations where the laws are not consistent state to state. This is also getting better because the Florida LLC Act takes into account several components from uniform LLC law projects. Limited flexibility when transferring ownership. The transfer of LLC membership is typically more difficult than transferring stock ownership in a corporation. This may be a source of contention with some investors. 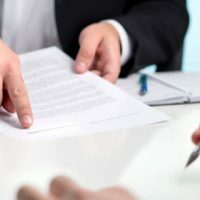 The Florida Revised LLC Act has default rules about how membership interests can be transferred, but these rules can be changed in the terms of the LLC’s operating agreement. Any time you are in the stages of planning a business, or if your business is getting off the ground, it is important to make sure you are following all the laws and regulations for your business. A business planning attorney can also help you understand the best options to help you meet the goals of your business. David Toback, Attorney at Law, has decades of experience helping Florida business owners set up and maintain their businesses to ensure that they are following the laws and regulations as well as helping them keep their businesses running smoothly. If you aren’t sure if an LLC is the right option for you, contact his office today and schedule a consultation.